Thinking about summer again! 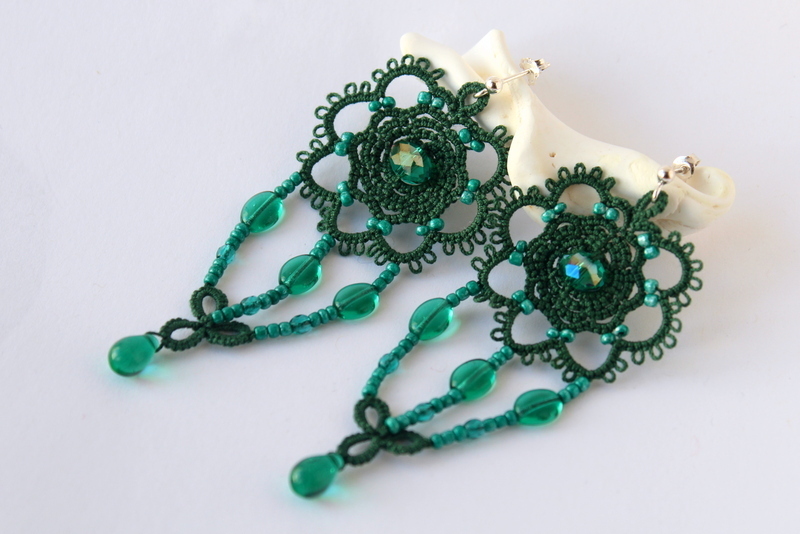 Bold dangling earrings in a great sea green color. Hand-made tatted design with glass beads. 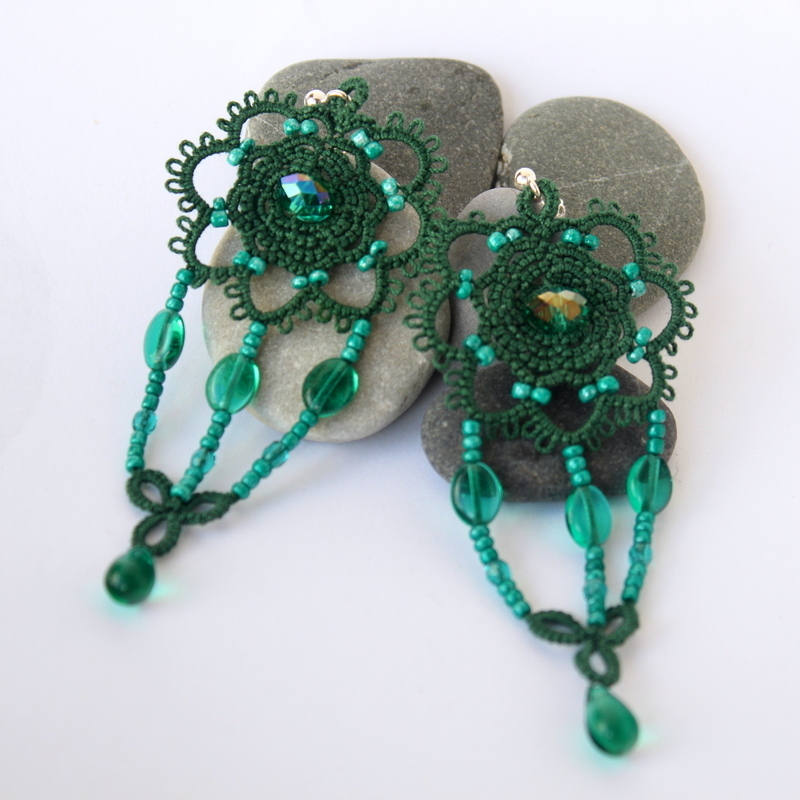 Emerald green thread and matching beads.